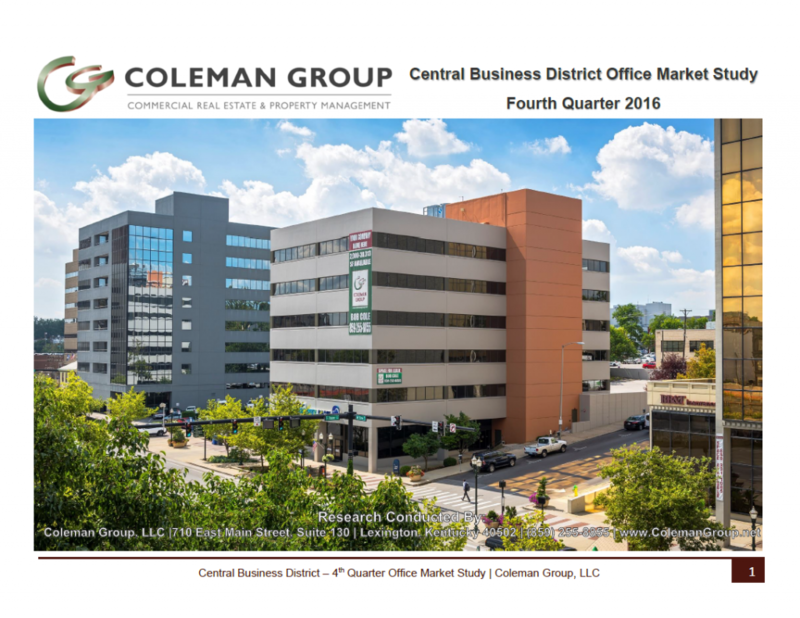 Coleman Group » Fourth Quarter 2016 Central Business District Market Study Available Now! Fourth Quarter 2016 Central Business District Market Study Available Now! The Coleman Group is pleased to offer this in-depth analysis of the Central Business District market in Lexington, Kentucky. This study is produced on an annual basis and is the most detailed study made publicly available in the region.